Oxytocin is a hormone which to a great majority of people is the ideal ‘love hormone’. To others oxytocin is recognized as the ‘trust hormone’. Unlike other hormone, oxytocin is quite popular. As this is the case, most people are pretty aware of the positive effects of oxytocin and tend to know less or nothing about its dangers and side effects. We have decided to lay the truth out there and let you understand what you are up against. Promotes fidelity in relationship. Researches have shown that Oxytocin is responsible for more romantic attractions and can be used to bring people together. Oxytocin increases social skills in people with autism. Autism is a condition that normally affects children and teens making it difficult for them to socialize. Some clinical tests have proved oxytocin nasal spray to improve the social behavior of such children. This is to mean that, Oxytocin nasal spray is mostly used for childhood and bonding. 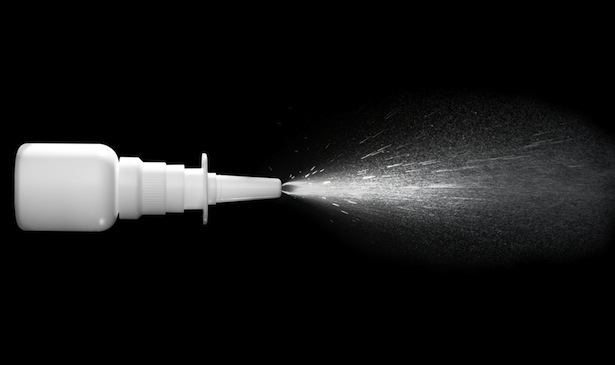 Schizophrenia patients are also said to benefit from oxytocin nasal spray. Just like autistic people, patients with this condition have issues socializing. Use of oxytocin gives them confidence, happiness and social strength. Case in point, Oxytocin social anxiety treatment is the best medicine for people with schizophrenia and autism. Mother-child attachment. Use of oxytocin is said to improve mother-child relationship. Mothers who have tried this kind of treatment refer to this hormone as the ‘cuddle me’ chemical. As good as the use of oxytocin nasal spray sounds, it has a darker side as well. This is the side that not so many people are aware of. To ensure that you are conscious before choosing to use oxytocin nasal spray, read on for the dangers associated with the use of this hormone. Fetal distress – if you are considering an oxytocin-induced labor, you should think twice. This drug is used in hospitals across the continent to trigger frequent contractions that speed up child birth. The sad part though is that, inducing labor can starve your child of oxygen, leading to fetal distress. That been said, doctors should constantly monitor the fetal wellness if the mother has received a shot of oxytocin. Nausea – just like it is with most drugs, oxytocin nasal spray causes nausea that is normally accompanied by severe vomiting and light-headedness. A runny nose might also be experienced. Memory loss – in rare cases, use of oxytocin nasal spray has been noted to cause memory problems. In not so common scenarios, forgetfulness and confusion have been noted in people using oxytocin. Irregular heartbeat – this love hormone can speed up your heartbeat rate. It is not a common side effects but it is good to consult your doctor if you experience an irregular heartbeat. Rarely, pelvic pains, abdominal pains, vaginal bleeding, skin rash, dizziness and headaches might also be experienced.